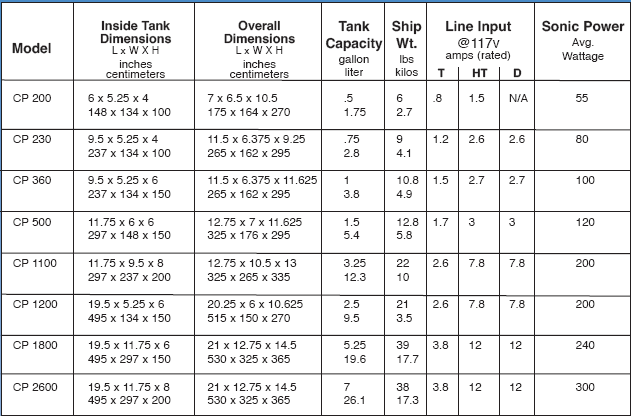 Crest offers more sizes and options than anyone else. 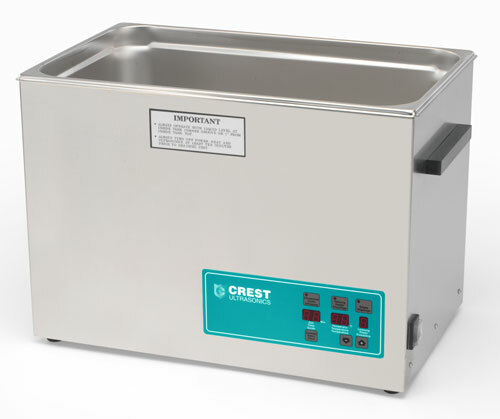 Powersonic ultrasonic cleaners are available in seven sizes, from a half gallon to 7 gallons (1.75 to 26 liters), in three different configurations. Many features that add value to your investment have been engineered into Crest’s benchtop cleaners. Analog model with timer and adjustable thermostatically controlled heater. Digital model with timer, heat, power control and degas. All timers have continuous-operation capabilities. Cover included with all units. Analog or digital timers (digital not available with CP 200 model). All stainless steel enclosures resist damage from chemical spills and will not crack. Adjustable, thermostatically controlled heaters (ambient to 80°C). Precise control of time, heat, power and degas on digital units. Drains with flow control valve on all 3/4 gallon and larger units.